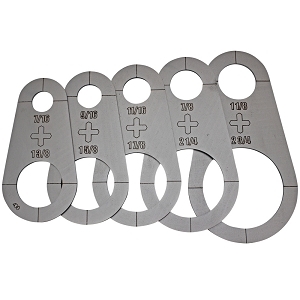 Home > Plasma Stencils > Circle Stencils - Plasma Cutter Guide - 5pc. 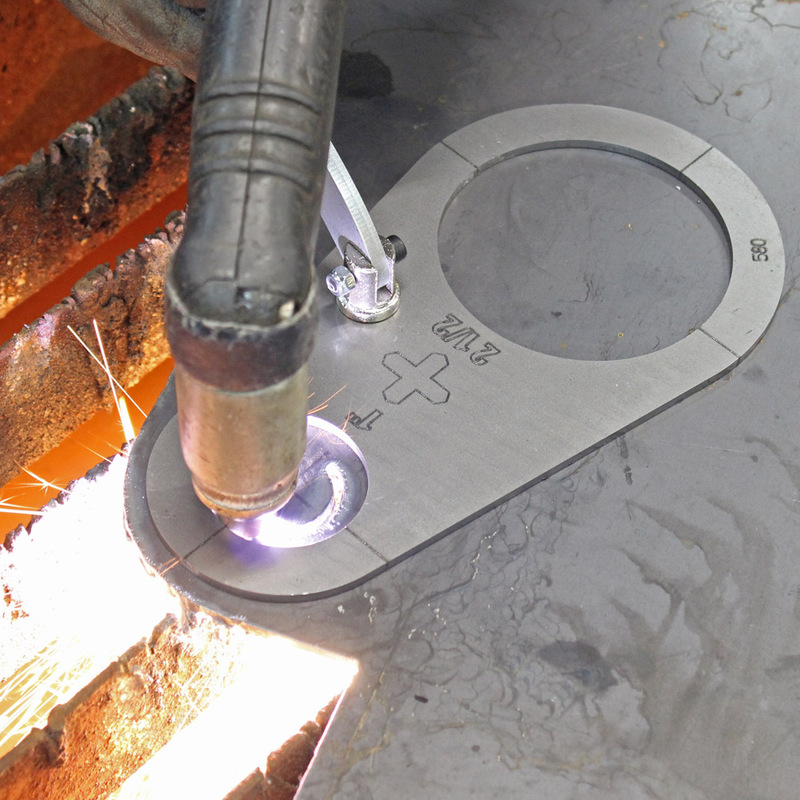 The Plasma Stencils will guide your hand held plasma cutter to quickly and accurately cut a perfect circle. 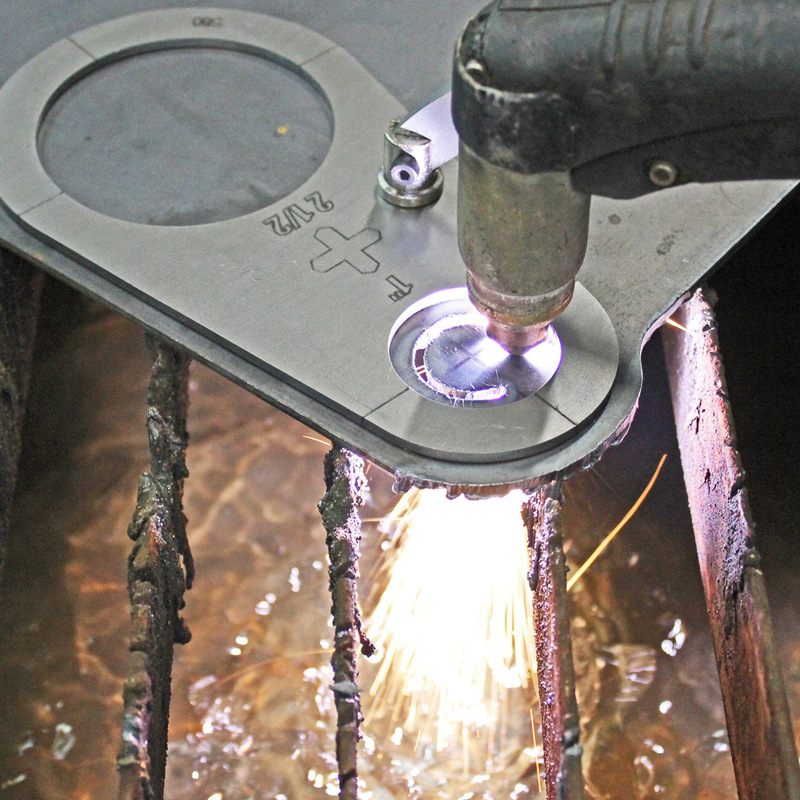 The stencils are offset to cut the indicated size from the center of the plasma cut, this allows a little clearance for easy assembly. Each kit includes 5 stencils for 10 sizes: circles range from ½"-3" in diameter. 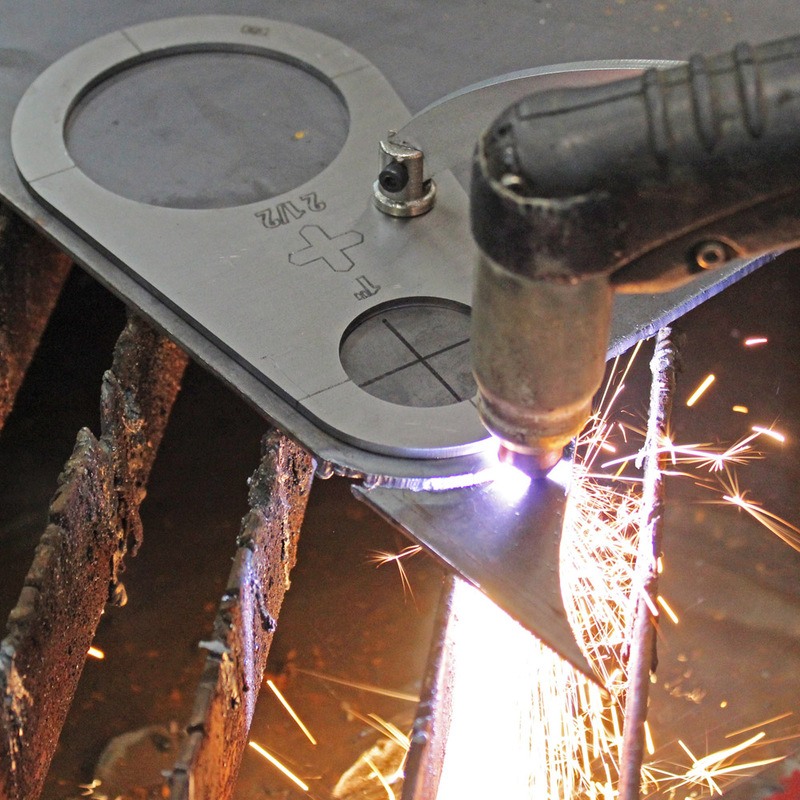 Available for most plasma cutters that have a drag shield attachment. 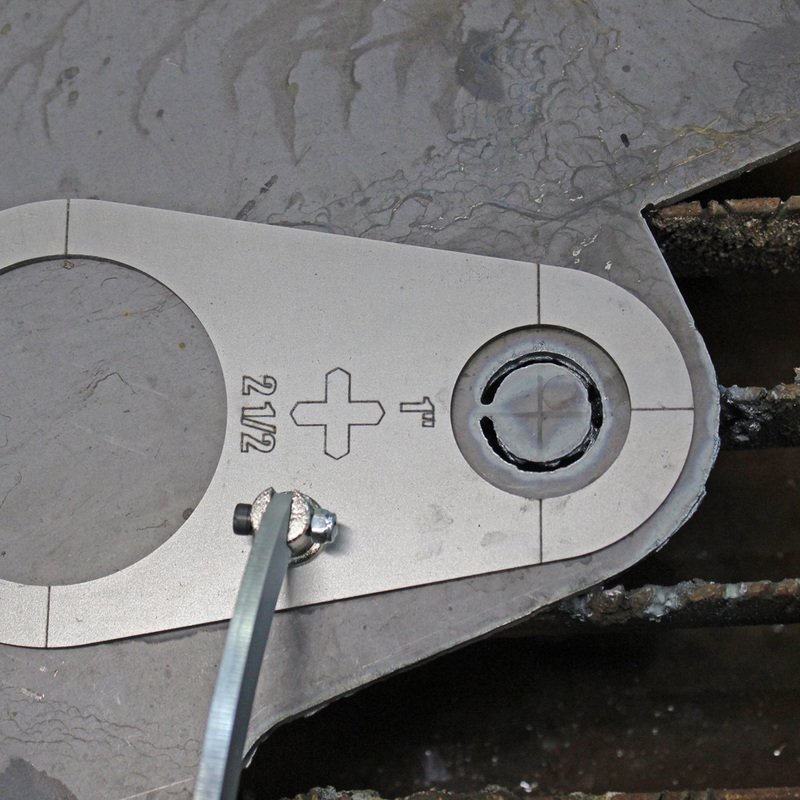 The outside radius and straight edges act as bonus cutting guides. Laser cut and etched from 1/8" cold rolled steel. The end result is a quick, clean and accurate cut that can be done anywhere. Made in the USA. Just received my stencils and couldn't be happier. Shipping was lightning fast (2 days for me) and the stencils arrived exactly as described. Mine are for a Miller machine and my first try with them resulted in cuts that required minimum grinding to fit perfectly on my 1.5" roll bar. It literally took me 15 seconds to cut a perfect trailing arm bracket! My biggest fear is my friends will want to use them for their chassis repair and fab work. 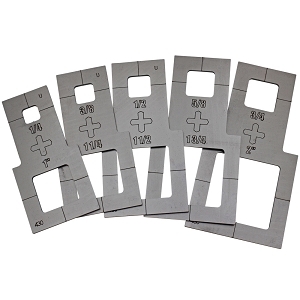 I would definitely recommend these and I am planning to buy the square stencils in the very near future. Great product! Bought this set first and have really enjoyed using them. Shop and farm fabrication and repair. 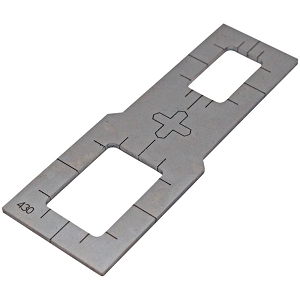 Makes accurate holes and arcs quickly with easy to alignment marks. Followed up getting the other sets but this guide kit is the most used in the shop. Using Hypertherm xp45 and would highly recommend. AFTER TRYING THESE I FOUND THAT THE HOLE IS ABOUT 1/8" LARGER THAN ANTICIPATED WITH MY PLASMA. 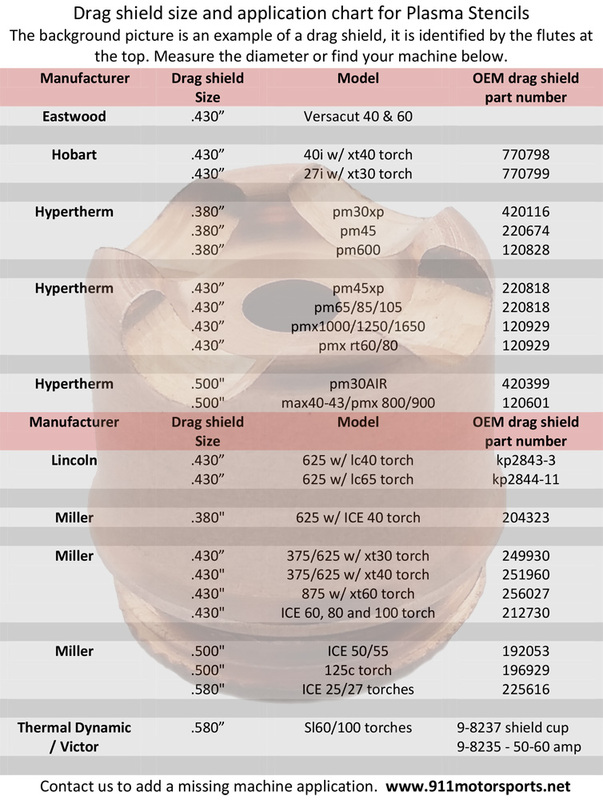 I ORDERED THE OFFSET THAT WAS LISTED FOR MY HYPERTHERM PLASMA HOWEVER THE HOLES END UP NOTICEABLY LARGER THAN DESIRED. 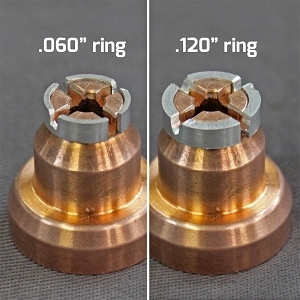 I CONTACTED 911 MOTORSPORTS AND WAS TOLD THAT THE OFFSET WAS TO THE CENTER OF THE TIP AND DID NOT COMPENSATE FOR KERF. AS LONG AS YOUR NOT DOING ANYTHING PRECISION THESE SHOULD WORK OK FOR YOU. These stencils are worth every penny! I went by the 911 motorsports shop in Bend to see if any of the stencils would work with my inexpensive ( JEGS brand ) plasma cutter, seeing as how the tip only measures .300, and Casey was able to make a collar from some tubing to bring the size up to .380. It works perfect and I couldn't be happier. Highly recommend!